As the second-generation Mazda CX-5 was only launched in 2017, and as the company has a lot on its plate with the upcoming all-new Mazda 3 sedan and hatch, there isn’t likely to be a great deal of changes to the CX-5 from its current 2018 model year. While most of us like to hear about vehicles being significantly updated, as long as we haven’t just bought one perhaps, it's pretty good news the CX-5 is staying much the same because it's already one of the very best models in its class globally. Let's have a refresh of what the 2019 Mazda CX-5 will have to offer as well as a glimpse at one or two potential changes we might be seeing. Although some people may scratch their head at the timing, Mazda has been promising a diesel version of the CX-5 for a while now, and the 2019 CX-5 could well see this option come to fruition at last. The reason the diesel hasn’t appeared already is because of the very strict emissions certification process it has to go through, so approval is still being sought. While the diesel CX-5 may not be available when the 2019 model first goes on sale, it could make an appearance later in the model year. What some may now see as something of an error with the current CX-5 was the lack of Android Auto and Apple CarPlay compatibility when many of Mazda's rivals already include it. It's almost certain the all-new Mazda 3 will include that level of connectivity when it finally launches, so it's hard to see the 2019 CX-5 continuing to be lacking in this important area in the modern auto technology market. 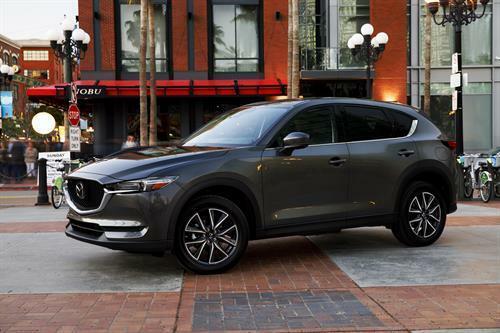 However, the CX-5 already features a 7-inch touchscreen display, the Mazda CONNECT infotainment system, 17-inch alloy wheels, LED headlights, emergency front braking and blind spot monitoring, so it's not exactly lacking when it comes to standard features. And on the safety front, the popular i-ACTIVSENSE safety package is also available as an optional extra that can add rear vehicle monitoring, adaptive front lighting, high beam control, and lane departure control. Until the diesel eventually arrives with us, the CX-5 will continue to be powered by the excellent 2.5-litre inline-four powerplant that produces a healthy 187 horsepower and 185 lb.-ft. of torque for the big-selling crossover. It will still be exclusively mated to a six-speed automatic transmission that will drive the front wheels as standard or all four wheels if all-wheel drive is preferred. Last year the engine gained cylinder deactivation, which is an increasingly important and effective way of making gasoline engines as efficient as possible and to lower their emissions. It allows the CX-5 to run on just two cylinders when appropriate such as during light load driving situations such as highway cruising or coasting. 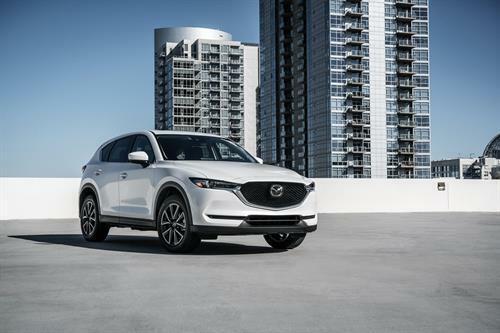 To keep up to date on what's happening with the 2019 Mazda CX-5 and to be at the front of the line for a test drive when the 2019 model finally arrives, don’t hesitate to get in touch with us here at Yarmouth Mazda today.